As promised, this week’s podcast is devoted to tackling the disgusting monstrosity that is The Amazing Spider-Man 2. 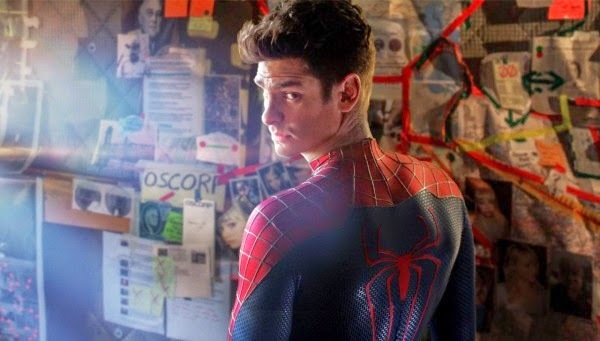 I expressed my unending hatred for this so-called ‘movie’ in my written review last week, and now that Sean has seen and hated the film as well, we spend the majority of this week’s episode tearing into all the ways the movie fails simply as a piece of filmmaking, along with exploring how the film fundamentally misunderstands Peter Parker/Spider-Man as a character. This is, as we explain in the episode, the worst film we have ever talked about on the podcast – yes, we hated this even more than Prometheus – so it makes for a fairly epic rant. Before the in-depth movie review, though, we also expand on our discussions of Hearthstone and Titanfall from last week and cover some recent gaming news, including Microsoft’s inevitable decision to unbundle the Kinect from the Xbox One. Enjoy the show, and come back next week for our review of Gareth Edwards’ Godzilla, which will hopefully be much better than The Amazing Spider-Man 2. Not that making a better movie would be in any way difficult. Wow! I didn't think anything could dethrone Prometheus or Transformers 2 on the shite scale on your show. Luckily my Spectacular Spider-Man blu-ray set came with a free ticket offer so I didn't technically contribute monetarily to the box-office. Is there a top 10 worst superhero movie count-down in the future? I look forward to the Godzilla show! That's how both of us paid for the movie too. Hooray for free tickets. I wouldn't say we have any plans for a Worst 10 list, as I simply don't think I've seen 10 superhero movies I hate enough for such a list. Maybe a Top 5. But even then, it's a rare I feel passionate in my hatred for these movies. The worst ones - Hulk, Fantastic Four, Batman and Robin - are ones I feel I can brush off pretty easily. Amazing Spider-Man 2 is one of the only ones to make me actively uncomfortable and angry. I've had fun re-editing movies like those and the Star Wars prequels to make them better. One can only hope that there is a completely different "Director's Cut" of The Amazing Spider-Man 2 for home video release that can salvage the series. They would have to re-edit the film and maybe even re-score it. From the trailers it seems like there could be a completely different story-line out there.